Time for tea! 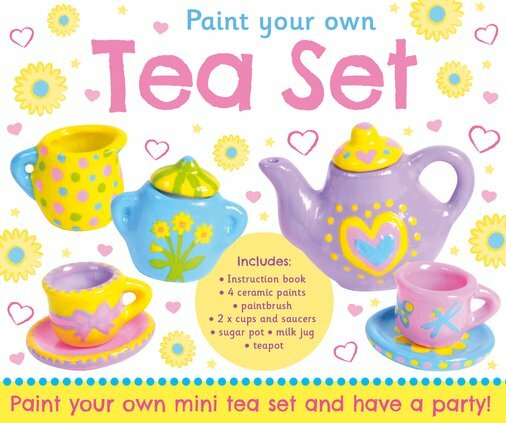 Stage your own play-along tea parties with this mini ceramic tea set to paint. Will you go for a pretty vintage design? Or a colourful modern look? You could hold a teddy bear’s picnic, or treat your favourite dolls to tea and scones. Or why not just use it to decorate a favourite nook? After all, there’s nothing prettier than a beautifully painted tea pot!